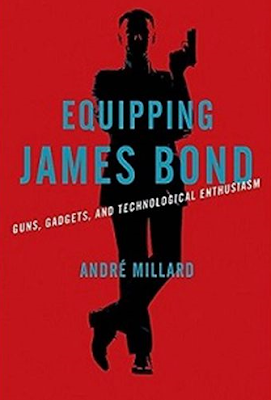 John Greenya at the Washington Times offers a review of Andre Millard’s Equipping James Bond: Guns, Gadgets, and Technological Enthusiasm. 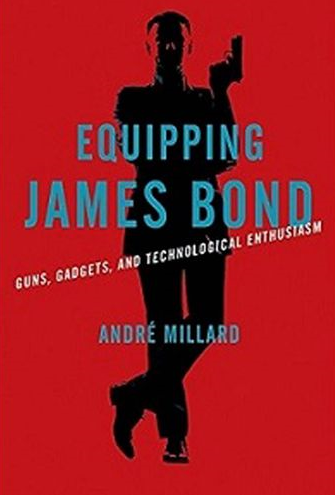 While this highly readable book will not tell you how to make exploding pens, shoes with hidden knives or shoot death rays out the back of the family Buick, it does tell you how and where Ian Fleming, the author of the 12 James Bond novels, came up with these “fiendishly clever” devices. In other words, this book resembles the old bait and switch: The title overpromises, but the subtitle is more accurate. Along the way, the author (a professor of history at the University of Alabama at Birmingham who has written books on Beatlemania and Birmingham’s rock ‘n’ roll years) provides one of the best capsulized histories of technology in warfare I’ve ever read. It also traces the development of the Bond character from the books of the 1960s to the movies of the present day, or, to put it differently, from George Lazenby to Daniel Craig. Andre Millard puts Fleming in historical perspective: “Winston Churchill and Ian Fleming were perfect representatives of two generations of Englishmen — the Victorians and the Edwardians — who saw their world transformed. Churchill (born in 1874) and Fleming (born in 1908) lived through the Second Industrial Revolution, which brought a host of wonderful new inventions that changed life in ways large and small … The philosopher Alfred North Whitehead argued that ‘the greatest invention of the nineteenth century was the invention of inventions. … While most modernists praised the positive possibilities of this new age, Ian Fleming, a British Navy commander-turned-high-level-bureaucrat-turned-journalist-turned-spy-turned-world-famous-novelist, chose to explore the dark side. Like Churchill, a gentleman born into privilege, Ian Fleming was, also like him, fascinated with inventions, fast planes, cars and boats, and was a known tinkerer. He was also nostalgic for the good old days of Her Majesty’s secret operations branch, which in the books Fleming called M16. Note: A small complaint: Ian Fleming never called British intelligence “MI6.” He called Mr. Bond’s intelligence organization the Secret Service, which he even used in a book title, On Her Majesty’s Secret Service.